So many of us wish we knew how to play a musical instrument. Yet only a small amount of wishers find the courage and motivation to take that first step toward musicianship. You might think that the first step is purchasing an instrument or starting your first music lessons online. Actually, the first step is what you’re doing right now: deciding that you’re ready and choosing which instrument you want to play. You may have known for years that you want to learn how to play the piano. But if you’re uncertain or on the fence about what musical instrument you want to learn, then this article is for you. We’ll cover a variety of reasons why the piano is a great first instrument to learn, and very possibly, the right instrument for you! The structure of the piano is simple. It has a basic pattern of white and black keys that each play only one note. On other instruments, like the violin, inexperienced fingers can often make the pitch of a note go out of tune. It takes years of training just to produce a note that sounds in tune and has good tone. Not so on the piano. An infant can literally mash their hand on a key, and the sound will have perfect tone and will sound perfectly in tune. Additionally, the notes on a piano are laid out to go up and down in a very clear way -- the further right you play, the higher the pitch, and that will always stay the same. Aside from the structure and order of the keys, the organization of the piano is also helpful for learning music theory. 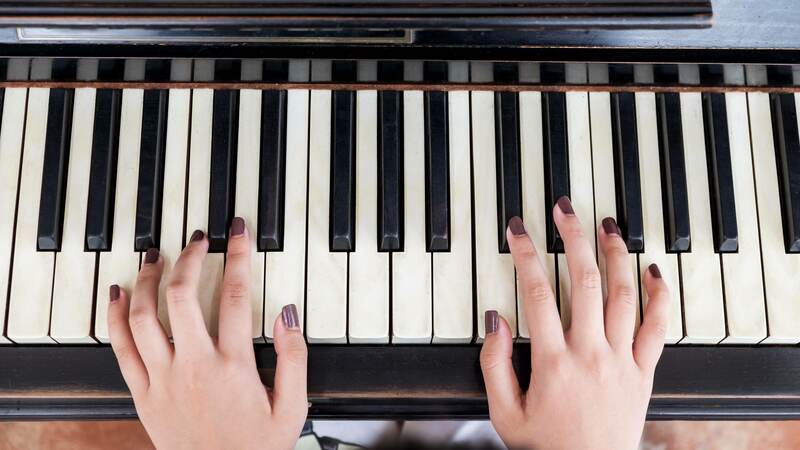 Each key on the piano is a half-step away from the next key, which makes understanding music theory concepts such as key signatures and scales easy to visualize as you play your instrument. It’s no wonder that nearly all of history’s greatest composers were pianists! Getting sound out of a piano is extremely easy. All you have to do to create sound is push a piano key down. What’s more, you can experiment with creating beautiful or dissonant sounds right away because the piano is a polyphonic instrument. That means you can play multiple notes at once. 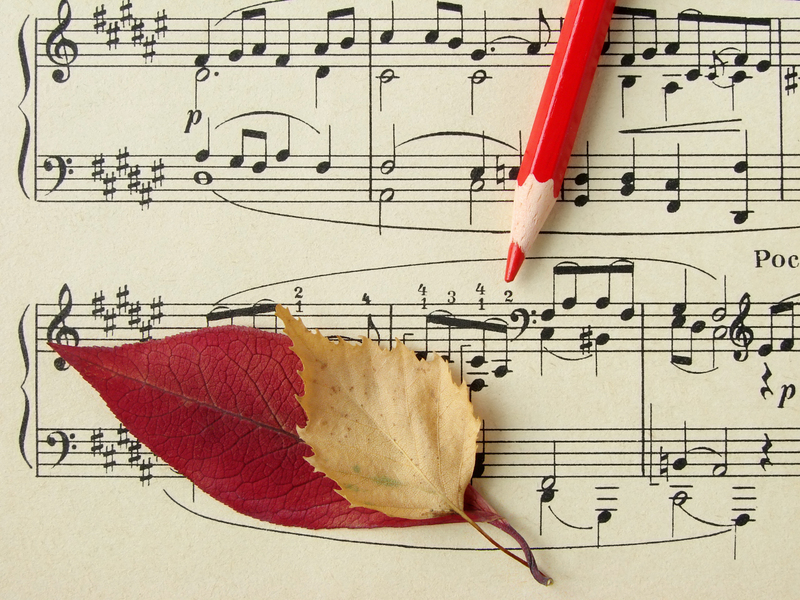 Even if you can’t read a note of music, you can sit at a piano and begin to play chords. The piano allows you to decide on volume (or “dynamics”) of the notes based on how hard you press on the keys. On other instruments, like flute or saxophone, you would have to use breathing techniques that require great skill to develop dynamic contrast. The piano is a versatile instrument. Every genre of Western music either directly utilizes piano or can be transcribed into piano music. Whether you’re a fan of classical, jazz, Broadway, rock, pop, gospel, or country music -- you can play all of these on the piano. Truly, the options are limitless. Aside from genres, the piano is also versatile in how you purpose it. For example, you can use your skills on piano to play a solo piece or you can accompany yourself while singing, just like Elton John, Alicia Keys, Ray Charles, and countless others. So many pop and rock singers accompany themselves on piano. If you’re not one for the solo spotlight, you can monetize your piano skills and become and accompanist for other musicians. When you learn to play a musical instrument, you also learn how to strengthen the signals between your mind and body. Playing the piano requires a simultaneous balance of concentration and movement. Your fingers begin to develop strength and flexibility. As you practice, you start to develop what musicians call “muscle memory”. Muscle memory is what allows people to play musical pieces by memory even years after they have practiced. When you play the piano, there are so many factors flooding your brain at once, that being able to keep control of everything is itself an accomplishment. Once you develop your physical and basic reading skills, you can challenge your mind even further with sight reading and artistic elements such as feeling, dynamics, tone, breath, and phrasing. This part wouldn’t be a shameless plug if we didn’t believe so much in what we do. In the old days of the pre-internet world, the only real option for piano learning for most people was to get private lessons. Private lessons is a perfect way to learn the piano, so long as it’s accessible to you. You get one-on-one time with an expert on music who can tailor lessons to your needs. If that works for you, then you’re all set. But keep in mind that private lessons requires consistent scheduling, a good amount of money, and a way to get to and from lessons. Because so many would-be learners were missing one or more of those requirements, we created a way to learn the piano affordably and from anywhere you choose. Our company is PianoCub and we offer HD piano tutorials and PDF lessons that will take you from absolute beginner to music-reading, rhythm-keeping, dream-fulfilling musician. Access to our growing library of lessons is just $18/month and your first ten days are free. If you want to learn more, click here. The piano is a social instrument. Since its creation, the piano has been a source of joy for people at parties and concerts for centuries. Not only can you entertain with a piano, but you can also play piano with someone else. There are so many examples of piano duos and ensembles in modern music. Piano duets and four-hand piano pieces are common and their difficulty can range from beginning to advanced. For example, just think of the beginner duet Heart and Soul. That’s a that adults can easily teach to children or a friend. Finally, playing piano for others can also be extremely rewarding, for example when used in the career field of music therapy. The piano is a flexible instrument. It comes in multiple forms: acoustic pianos, keyboards, digital pianos, and synthesizers. That variety of forms is one of the reasons that pianos are heard across so many different musical genres. Acoustic pianos are typically used in genres such as classical or jazz music. 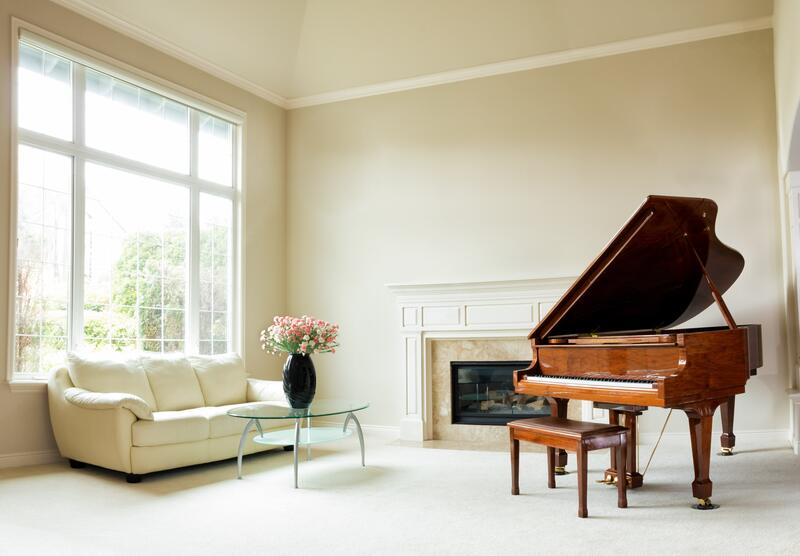 Acoustic pianos can come as an upright piano or a grand piano. Keyboards and digital pianos are more versatile than acoustic pianos in that they can play any genre (and many instrument sounds) by manipulating the sounds of their keys. Synthesizers are used almost exclusively for electronic music and, since their invention in the 1980’s, have continuously grown in popularity. All three of the latter piano forms also have the advantage of being very easily portable. Most keyboards and digital pianos come with a travel kit. The acoustic piano isn’t as portable, but makes up for it by being a beautiful piece of furniture in whatever room it occupies. If you’re looking for the perfect keyboard for your needs, check out this keyboard purchasing guide we created. 1) Visit a piano store and play around on the keys to see how it feels. 3) Research your favorite singer-songwriters and pop artists -- we’re confident you’ll find that many of them either currently or used to play piano. 4) Go see a piano concert -- whether you go for $10 to your local college or $100 to a professional venue. We hope you’ve found this helpful and we look forward to hearing from you with your questions and success stories!